Redmi Y1 and Redmi Y1 Lite go on sale for the first time in India on Wednesday, a week after they were unveiled in the country by Xiaomi. The new youth-focused smartphones will become available for purchase at 12pm IST via Amazon and Mi.com. Later, Redmi Y1 and Redmi Y1 Lite will hit the shelves in offline stores as well. 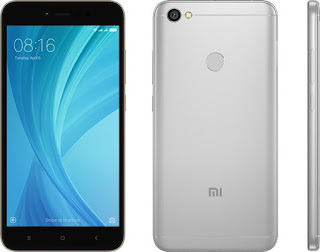 For those unaware, the budget smartphones differ widely on specifications, with the former a selfie-centric offering and the latter a more basic, entry-level smartphone that appears to be the India-branded variant of the Redmi Note 5A. Both Redmi Y1 and Redmi Y1 Lite launch with MIUI 8 out-of-the-box, but are assured to get their MIUI 9 updates this month itself. Xiaomi Redmi Y1 price in India starts at Rs. 8,999 for the 32GB storage and 3GB RAM variant, going up to Rs. 10,999 for the 4GB RAM and 64GB storage variant. As for the Redmi Y1 Lite, the phone comes in only one configuration with 2GB RAM and 16GB internal storage, and is priced at Rs. 6,999. The Xiaomi Redmi Y1's biggest highlight, as we mentioned, is its 16-megapixel front camera. This comes with and LED selfie-light, for better selfies in low light conditions. The company is also touting the Beautify 3.0 feature on it, which helps beautify selfie photos. It bears a fingerprint sensor on the rear panel. The new phone has been launched in Gold and Dark Grey colour variants. The dual-SIM Xiaomi Redmi Y1 will receive its MIUI 9 update in November, and sports a 5.5-inch HD (720x1280 pixels) display with Corning Gorilla Glass. It is powered by an octa-core Snapdragon 435 SoC, coupled with 3GB of RAM. The smartphone bears a 13-megapixel camera with PDAF and dual-LED flash. Coming to the Redmi Y1 Lite, the phone has a 5.5-inch HD screen and 1.4GHz quad-core Snapdragon 425 processor. This dual Nano SIM phone has a dedicated microSD card slot and supports storage expansion up to 128GB. The resolution for the rear camera is 13-megapixel, with LED flash and PDAF, while the front camera has a 5-megapixel sensor. Its battery capacity is 3080mAh, and it features an IR blaster as well.